The Orlando personal injury law firm of Colling Gilbert Wright & Carter prides itself on our lawyers' reputation for aggressive and effective representation, honesty, persistence, responsiveness, and competitive spirit. Our personal injury and worker's compensation law firm is recognized by insurance companies, defense lawyers, and the legal community as one of the top plaintiff's personal injury firms in the State of Florida. All of our partners have received an "AV Rating", the highest possible rating, from Martindale-Hubbell, the largest and most respected national independent legal ratings service in the country. Only 20% of the lawyers in the country ever obtain this highest rating. After building Morgan Colling & Gilbert into the largest plaintiff's personal injury firm in Florida, Stewart Colling and Ronald Gilbert left that firm with several other partners, associates, paralegals and staff to form Colling Gilbert Wright & Carter. Our reputation and record of success has also led lawyers from other States to retain our firm to act as co-counsel on large cases in Georgia, Tennessee, West Virginia, North Carolina, Maryland, Ohio, and Washington, D.C. Our Firm has lawyers licensed to practice law in Florida, Georgia, Tennessee, Colorado, Texas and Washington, D.C. Our Orlando personal injury law firm seeks to focus on more significant cases so that the lawyers have time to interact with each client personally and litigate each case aggressively. Serving our clients is our primary goal. One of our partners actively handles each case, and our clients appreciate the fact that they can always speak directly with their lawyer at any time. We also use 'litigation teams' on each case, comprised of one or more lawyers, paralegals, legal assistants, investigators, and medical experts from the appropriate fields of medicine. 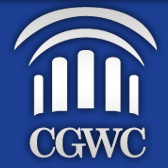 Our partners have over 80 years of combined experience and have obtained successful results in all types of cases including all types of personal injuries, automobile accidents,tractor-trailer accidents, medical malpractice, construction site accidents, chemical exposures, dangerous and defective product cases, workers compensation claims,nursing and group home neglect cases, and class-actions claims. Member, Order of Barristers. Chief Justice, The Henry Upson Sims Moot Court Board, 1981-1983. Member, The Trial Advocacy Board, 1981-1983. Associate Editor, The American Journal of Trial Advocacy, 1982-1983. The Florida Bar; American Association for Justice; Florida Justice Association; Medical Malpractice Task Force; Orange County Bar Association. Union Park Memorial Chapel v Hutt, 670 So.2d 64 (Fla. 1996). Hunting, strength training, reading, piano, guitar. 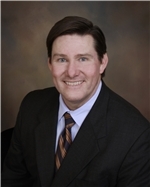 Nathan Carter is a Civil Trial Lawyer currently handling primarily nursing home litigation, medical negligence cases, product liability and other complex personal injury cases. After practicing with the largest plaintiffs firm in Florida, Morgan Colling & Gilbert, he left with several other partners, associates, and staff to form Colling Gilbert Wright & Carter. He obtained his undergraduate degree in Political Science from the University of North Carolina at Charlotte. He obtained his law degree from the Mercer University School of Law in Georgia. During law school, he entered the Syracuse University School of Law in order to clerk for a firm in London, England. While in London in 1992, he participated in two high-profile murder trials at the 400 year old "Old Bailey" Courthouse with one of the top Barristers in London. He is married with 3 young children, and coaches his son's soccer and basketball teams. Mr. Carter is licensed to practice law in all of the State and Appellate Courts in both Florida and Georgia. He is also admitted to practice law in the Federal Middle District of Florida and the Federal Northern and Southern Districts in Georgia. He has also been retained by local attorneys to assist in significant cases in West Virginia, North Carolina, Georgia, Ohio, Maryland and Washington DC. 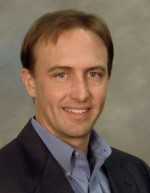 Nathan Carter has also achieved the highest rating, an "AV Preeminent Rating", from Martindale-Hubbell (www.martindale.com), the most respected national legal ratings service. Less than 20% of all attorneys ever achieve this rating. Additionally, Nathan was voted by his peers to be one of Florida Trend Magazine's "Florida Legal Elite" for the 2008 Edition, and again in 2009, 2010, and 2011. Less than 2% of the 61,500 practicing attorneys in Florida are voted into the "Legal Elite" by their peers. He was also one of only 5% of Florida civil trial lawyers to be included in the "Super Lawyers - Top Attorneys in Florida" in 2010 and 2011. In 2009, Mr. Carter was selected by The National Trial Lawyers Association to be included in their Top 100 Trial Lawyers. The ATLA is a national organization composed of The Top 100 Trial Lawyers from each state. Membership is obtained through special invitation and is extended only to those attorneys who exemplify superior qualifications of leadership, reputation, influence, stature, and profile as civil plaintiff or criminal defense trial lawyers. He earned this recognition again in 2010, and 2011. He is an active member of the AAJ, American Association for Justice, (formerly ATLA), the Association of Trial Lawyers of America, a national group of trial lawyers dedicated to representing individuals and families against big insurance companies, HMO's, hospitals, and other corporations. He has spoken at national ATLA seminars and been published in TRIAL magazine, the Journal of Trial Lawyers of America, the only peer-reviewed national publication for Trial Lawyers ("Who's Really Running the Nursing Home?" November 2006, www.atlanet.org). He has had cases featured and been interviewed by the New York Times, the Washington Post, the Dallas-Ft. Worth Star Telegram, CNN, as well as several Florida media outlets (see the articles section of our website for some of these). Nathan also served two terms (2000-2002, 2002-2004) on the Board of Directors of the Florida Justice Association, formerly AFTL, the Academy of Florida Trial Lawyers. Mr. Carter also serves on the AFTLs Nursing Home Task Force, and the Florida Lawyers Action Group Candidate Recruitment Task Force. As part of his role with the AFTL, Mr. Carter frequently visits Tallahassee to meet with and lobby State Representatives and Senators on behalf of consumers and victims of corporate negligence. He has also testified before the Florida Senate and House of Representatives on various issues. Mr. Carter has also been privileged to be invited to go to Washington D.C where he met with various United States House and Senate Committee members about Nursing Home reform issues. Nathan is also a member and Past President of the Central Florida Trial Lawyers (2002-2003 term) and served on the Board of Directors in 2010 and 2011. Mr. Carter is a member of the Orange County Bar Association where he served as the Chair of the Tort Law Committee in 2006 - 2007. 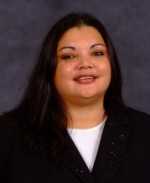 After a career serving in the U.S. Army, Fermin Lopez graduated from the University of Central Florida in 1999 and then the University of Florida College of Law with honors in 2003. 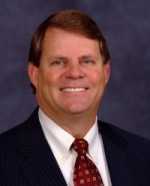 His practice is focused on personal injury and wrongful death claims of all types. 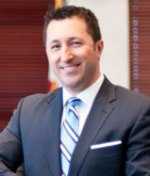 Only 2.5% of lawyers in Florida are chosen as SuperLawyers, and Mr. Lopez has been selected as a Superlawyer since 2010. 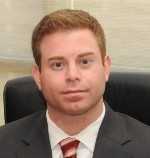 He was also recognized as among Florida's Outstanding Young Lawyers by the American Registry of Business Excellence. Mr. Lopez serves as an adjunct professor of insurance law at Barry University School of Law and serves at the Student Trial Advocacy Coach.